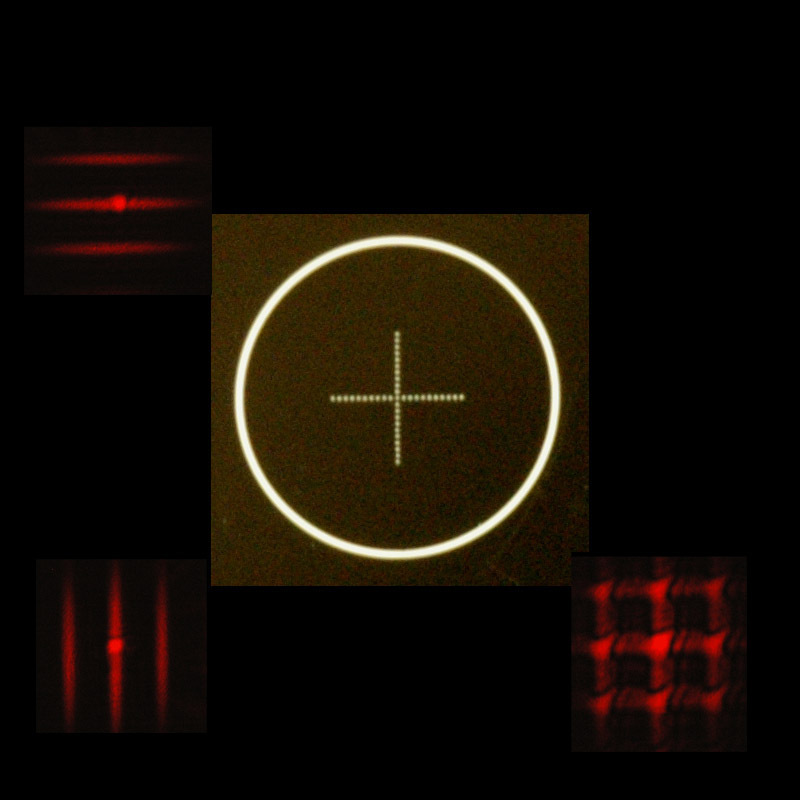 Information from diffraction can be demonstrated even by single slit diffraction, since the measurement of the diffraction pattern can give a measure of the slit width. For a double slit, the interference and diffraction can give a measure of the slit separation as well as the slit width. 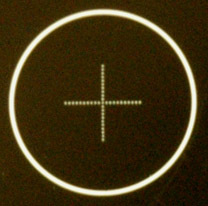 But a more revealing example of the information obtainable from diffraction is the diffraction from a series of tiny apertures arrange in two straight rows, making a shape like a "+" sign. The resulting pattern reveals the 90° angle in the object, and could do so even if the pattern had been too small for you to readily see with your eye. The object consists of tiny apertures in the geometry described obove. It is referred to as a "Mill's Cross" geometry.